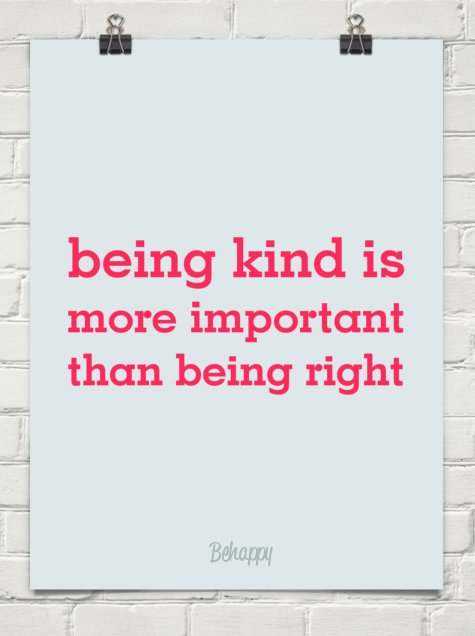 Coach4 Life - Lifestyle & Business Coach: Being Kind………. I have just returned from a lovely 5 day break in Sydney. During my visit I experienced 3 solid acts of wonderful kindness. A free desert offered to me at a well known restaurant…just because, a replacement glass of bubbles at another, as the maitre d decided it looked flat as she put it on my table, and last but not least was a lovely room upgrade at my hotel from the gorgeous duty Manager. All of these acts were spontaneous, generous and were offered with genuine warmth. Sadly, I also experienced one act on the opposite end of the scale, also to do with a glass of bubbles (hmmm note the theme here!). I was poured a glass and unfortunately it was flat. When I raised this with the lady in charge, I was rewarded with a barrage of very strange accusations, in a rather bullying manner. She seemed to take the matter very personally and of course there really was no need to. I was very taken aback. The people who were kind were relaxed, seemed happy in their World and their kindness shone out. The lady who reacted did not seem happy or relaxed; she was shouting instructions at people all around her. Needless to say it is fairly obvious who I will keep returning to when I visit Sydney and who will I recommend at any given opportunity. Thank you to those lovely people who made my visit extra gorgeous. They were: Sunny at Mr Wong, the Maitre D at Jackies (so sorry did not get your name) in Paddington and Mandy the Duty Manager at the QT Hotel. You guys rock…….